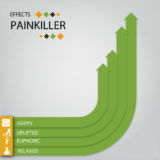 Painkiller is a blend of selective hereditary traits resulting in a high CBD percentage. It is an Indica dominant hybrid with a sweet scent and taste. This strain offers indica euphoria without inducing sleep. What is Painkiller CBD Strain? 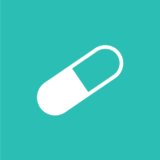 Painkiller CBD seeds are the medical creation from the breeder Dr. Underground with the purpose to combat the adverse effects of chemotherapy. 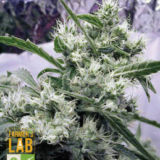 The mother of the Painkiller strain is Sensi Star from Sensi seed crossed with the mother White Russian from Serious Seeds (mixed AK 47 and White Widow strain). 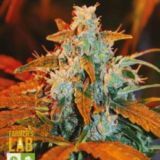 Painkiller strain is a high CBD / Indica dominant hybrid. 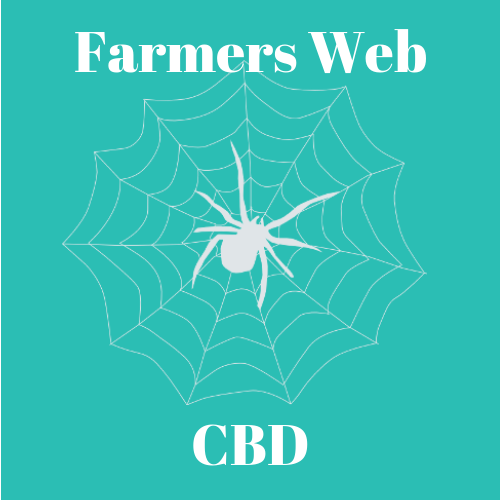 CBD levels in CBD Painkiller strain are approximatley 7% CBD and 6% THC. This strain is not recommended for daytime use due to its sedative properties, a strong mind and body relaxation and couch-lock. 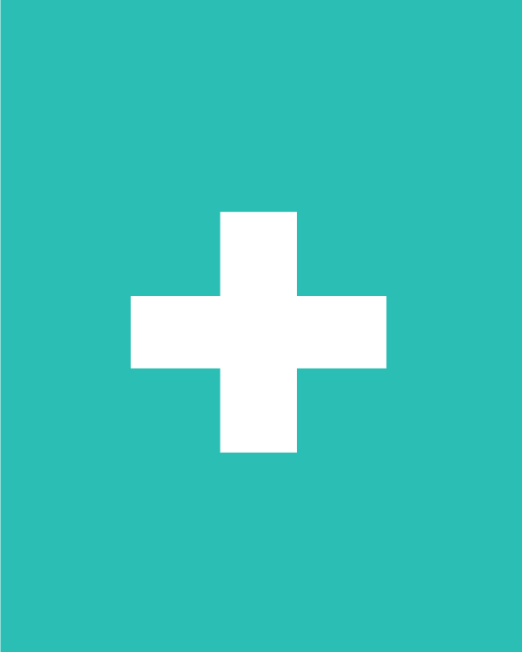 However, users report waking up the next day feeling clear and alert with no hangover. 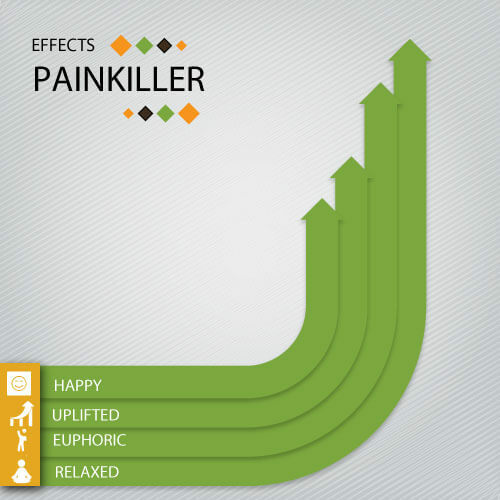 Users find Painkiller strain works well for chronic pain, anxiety, stress, depression and insomnia. 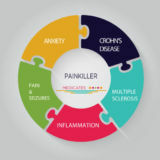 The high CBD levels in Painkiller strain make it a favourable choice for those suffering from more serious diseases such as cancer, anorexia, multiple sclerosis and glaucoma. 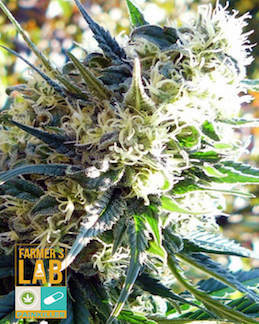 A Painkiller strain toke can be described as earthy, fruity, lemony and spicy. 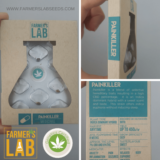 Like all marijuana seeds for sale from Farmers Lab Seeds, Painkiller CBD seeds are suitable for an indoor or outdoor grow. Dr. Underground recommends growing Painkiller CBD strain in SOG (Sea of Green) method for exceptional harvest. 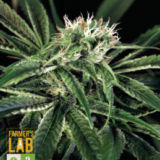 Painkiller strain grows to a medium height with purple leaves and matures in 7-8 weeks. 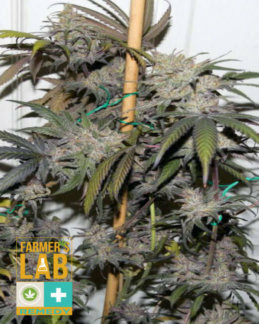 When grown indoors, this strain can harvest up to 450 grams-600 grams/plant. 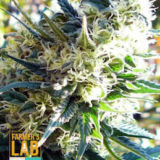 When grown outdoors, yields can be as high as 800 grams/plant.